Every time a major disaster strikes our pets are at risk. We’ve seen it with wildfires, flooding, tornadoes and earthquakes. Many of us have seen the heartache of pets separated from their families during times of crisis. Often because of a lack of identification either through a collar tag, microchip or even a family photograph, pets end up in shelters or are euthanized. With just a little bit of planning you can protect your family including your pets. The month of June is set aside each year to remind us to include our pets in our preparedness planning. FEMA has a number of suggestions. One of the most important is making sure your pet can be easily identified. Microchipping is certainly an option, but a collar and tag can work just as well. Don’t forget to include a picture of you and your pet in your documents ziplock bag. You might need it after the crisis to verify that you and your pet belong together. Collar or harness and leash. As part of your personal disaster plan you should have an evacuation route mapped out. Try to find out ahead of time if the hotel/motel or shelter will allow pets. You know how stressful a disaster can be. Imagine what it must be like for your pets. Help them by having a plan and practicing that plan. More detailed information is available at Ready.gov. “But it’s been so quiet for so long.” “But they said this year isn’t going to be that active.” “But this area hasn’t been hit in 15 years . . . “ But, but, but. Hurricanes haven’t gone away and they’ll be back sooner than we’d prefer; the season starts in just seven weeks. My hope is that this is the only time we’ll post about the Atlantic Tropical Storm Season this year and, fingers crossed, there won’t be any severe storms to post about later this year. Clear skies on Monday, landfall on Thursday night. Click to enlarge. A survey of nurses in the US reveals a stunning lack of preparedness in our hospitals to handle a major infectious disease outbreak. The survey conducted by National Nurses United (NNU) indicates our front-line health care safety net is not ready. As reported in Infection Control Today, 85% of RN respondents stated that they had been given no information on Ebola by their hospitals. Could this have been the communication breakdown in Dallas that sent an infectious Ebola patient back into the public? They also report a lack of the basic personal protective gear required to handle Ebola patients. The recommendations by NNU make sense. Treat this as an emergency. Communicate and train. Distribute supplies to those who need them. One of the concerns in an outbreak like this is who will report for duty. As has happened in other natural disasters and disease outbreaks, some health care workers choose self preservation over doing their noble work. Despite protective gear and other precautions, fear of something that cannot be seen like Ebola becomes overwhelming. Descriptions of the disease such as “a fire straight from the pit of Hell” do little to reassure. Health care workers fail to report for work and walk away. That leaves a reduced number of true heroes to provide care for patients. The situation turns ugly. But the impact of an outbreak such as Ebola reaches out in ever expanding circles. Everyone involved in patient contact must be trained and provided protective gear. That would include people who do housekeeping in the hospital. They may be asked to do clean up in the Emergency Room. Normal universal precautions for blood borne illnesses don’t seem adequate in the face of Ebola. The City of Houston Emergency Medical Service has eghty-eight patient care vehicles. Less than half of those are staffed and equipped to provide Advanced Life Support (ALS). As seen in Dallas, an ambulance unit transporting an Ebola patient was taken out of service for extensive decontamination. It would not take many Ebola infected patients to remove a high percentage of Houston EMS vehicles from service for an indefinite period of time. Those Paramedics and EMT’s who staff those units might also be removed from the streets for monitoring. All of the expected fires, car wrecks and health emergencies will still happen. Will there be enough services available to respond? Our health care system could be quickly overrun despite our advanced infectious disease control procedures. This version of Ebola moves fast. Can those in charge of our health care systems move faster? Infection Today: First Line of Defense – Nurses Express Concerns Over State of Preparedness for Ebola. My dad read clouds. He had no training in meteorology, but he could tell me when it would rain or be nice. His heritage as a farm boy helped turn his eyes to the sky. He was not the biggest of the four kids, but he was still expected to work out in the fields. He even did his share behind the mule and plow. It was as important then as now to plan the day based on the weather. When I was seven years old, dad read the clouds and could tell a tornado was brewing. He got home in time to make sure we were sheltered before the tornado hit. It was very close. All the doors in the house were banging open and shut as the air pressure changed around us. Two years later on a fishing trip his eye to the sky mentality probably saved injury or death as we barely beat another storm to safe harbor. My dad loved to fish. Many weekends we would load up and drive about an hour northwest to our lake house. It was a simple building with a kitchen and bathroom on one side, a large screened in sleeping porch in the middle and French doors opening into a small bedroom on the other end. That spot on the lake was heaven for us kids. We had fantastic neighbors all around us. Our closest neighbors were a wonderful couple. Jack was head of a department at the college. His wife, Fran, was one of the sweetest people you would ever want to meet. They had a real lawn stretching all the way down to the lake and always had large hammocks hung between the trees. There were usually fresh baked cookies at their house. They even had air conditioning! That fateful afternoon, dad and I loaded the sixteen foot aluminum boat with our bait and poles. He pulled the starter rope on the Evinrude outboard, and we cruised off toward the north end of the lake. There was a certain area with a lot of dead snags that was home to some big bass. Dad was a patient fisherman. He liked to fish with very large shiner minnows. He figured it would take a big fish to swallow a minnow that large. We would often fish all afternoon in that hot boat. And he could catch some monster bass. About four o’clock dad pointed out some clouds on the horizon toward the southwest. He said to pull in my line because there was a storm coming, We needed to get off of the lake right away. I could see some dark clouds that seemed far away and not very threatening, but did as he asked. The motor fired up, but the boat was not moving. The prop had sheared the pin. A shear pin is used on some boat propellers to protect the motor and drive gear should the propeller hit an obstacle. The pin shears before damage is done to the critical mechanical parts. Without a replacement on board we were dead in the water with a storm approaching. He always had paddles in the boat, but it was a long way back to the boathouse. Luckily our dear neighbors were also out fishing in their boat about one hundred yards away. After a lot of yelling and waving back and forth, they finally understood that we wanted them to come to us. To say they were very leisurely in their approach would be an understatement. Several minutes later they putted over to our boat. Dad tried to convey a sense of urgency pointing to the now very dark clouds moving rapidly our way. Jack and Fran (not their real names) were a very talkative couple. Dad was growing very impatient with them. They could not understand the imminent danger. Finally, he very bluntly stated he wanted them to tow us back immediately. Jack started his little boat. We threw him our bow line, and a sense of relief set in. I could see how concerned my father was with this storm bearing down on us. At least we were on our way. On our way might be a bit of an exaggeration too. Jack was not in any hurry. We moved at little more than idle speed as he laughed and joked pretty much to himself. My dad was not in a laughing mood. Dad kept telling him to speed up. At one point, Jack turned his boat around and was pulling us with his boat backwards. He was yelling “Chico! Chico!” and having a grand time. He was a professor in foreign languages. Even I could see danger in the clouds now. A lightning show had commenced with rolling thunder accompaniment. The hot late afternoon sun was obscured with boiling green and black clouds. Dad was at his limit. I had never heard him cuss anyone out like that before, but he sure did that afternoon. Jack got the message and throttled up his little outboard. It took another five minutes of towing at full throttle, which was not very fast for his boat, to get close to our dock. But it was too late. I did not see it coming because I was focused the other direction, toward our dock and boathouse. The storm swept across the lake behind me with wind whipped waves and a curtain of rain. We were about fifty feet from shore when the wind hit. It struck us broadside and blew us off the lake and ten feet onto dry land. I stepped out of the boat onto the ground and started running for the house dodging falling tree branches as huge ice cold rain drops pelted my head and back. Dad stayed back to make sure Jack and Fran were going to be okay. It took them four tries, but they finally made it safely into their boathouse. That storm made a huge impression on me. Did it teach the college professor neighbor? I know he and his wife had a big scare. I am an admitted weather junkie now. I want to know the how, why and when of the clouds. I continue to be surprised at the number of people who live in isolation from their surroundings. The ear buds and iPhones might be connected, but we have lost that immediate connection with our environment. It is still important to keep an eye to the sky and an overall awareness of what is happening around us. What about that strange car parked in front of the house. Maybe we should drive by and take a look before we open the garage door. Maybe we should pay attention to long range forecasts, particularly those of us in coastal areas. And maybe we should look up from what we are doing occasionally to check the horizon. Mit-i-gate verb: make less severe, serious or painful. Removing a dead bougainvillea is a slow deliberate process. It must be done carefully to prevent bloodshed. 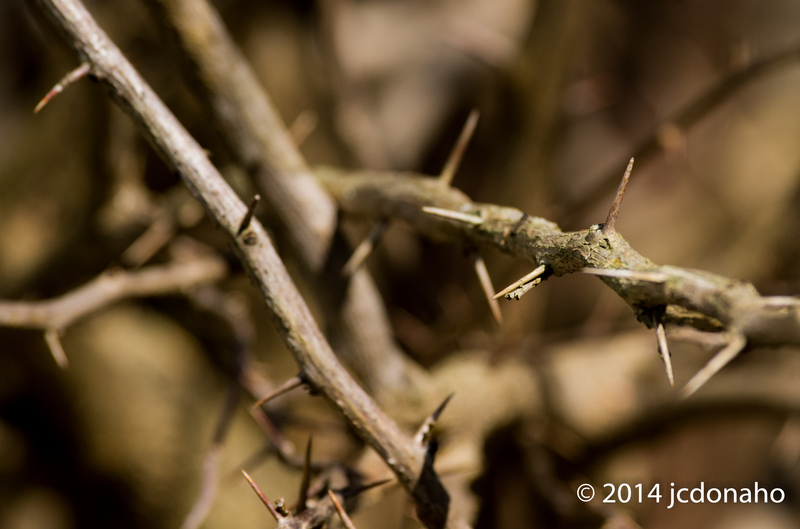 Vicious thorns found on every twig and branch attack with little provocation. My removal method is to work from the outside in, cutting small pieces of twigs that will fit easily into the large trash can. Then I cut short lengths of the larger branches. I learned that trick the last time I had to remove a bougainvillea. You see, this is not my first rodeo with the bougainvillea plant. This job is so distasteful to me that I even did my taxes first. The bougainvillea is a beautiful thorny plant native to South America often used in landscaping along the Texas Gulf coast. It doesn’t need a lot of water and blooms without much attention at all. The flowers are really quite small, but the surrounding specialized leaves called “bracts” give the bougainvillea the vibrant shows of color. Thick hedges of bougainvillea are sometimes used as security fences around homes deterring unwanted intruders. The vine versions can easily grow four stories high. And that growth can occur in a short period of time. My bougainvilleas grew over seven feet tall and seven feet around in one year. They normally flourish in this area, but we have had two cold winters in a row. After the freezing weather of 2012 killed one vine, I foolishly replaced it with another. This winter was even colder than last winter. That replacement bougainvillea is the one I am removing now, very carefully one branch at a time. If I was out in the country and were the plant not so close to my fence and garage, I would be tempted to take a flame thrower to it. There is no way to grab the plant without getting stuck by a thorn. I’m sure it would be satisfying to burn the thorny thing down. But I have this nagging fear that the thorns will become flame hardened and get me anyway. So here I am clipping one twig and branch at a time and then using the clippers as a claw to manipulate the cutting into the trash can much like Homer Simpson manipulates the radioactive capsules at the reactor. Care must also be taken to remove any cuttings that fall on the ground to prevent thorns from penetrating shoes and feet. Yes, this is a hazardous assignment. Even after some close calls I am unscathed, although there is still half to go. I’ll keep the band-aids close at hand. So what does this have to do with mitigation? I am mitigating this situation by planting something different this spring. Exactly what will be planted hasn’t been decided. I do know that it will be something without thorns. And that new plant will have to form a screen. The bougainvillea was doing a great job of hiding a worn section of fence next to the garage. So in addition to planting something new in that spot, I’ll need to replace a section of fence. That will mitigate a painful letter from the homeowners’ association. So, mitigation can take many forms. It might be something as complicated and expensive as making sure emergency generators are located in safe locations. Or it might be additional training so employees know what to do in an emergency. Or it might be as simple as planting a non-thorny shrub. 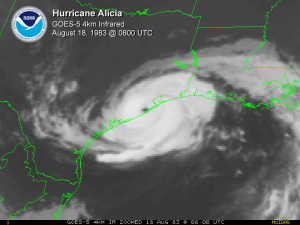 Hurricane Katrina proved to be an epic lesson in preparedness. From the individual level all the way to the highest levels of the federal government, failures to plan and mitigate ended in disaster. We are still learning lessons from that terrible storm in August of 2005. A recent book, Five Days at Memorial by Sherri Fink, is one of the more gut wrenching efforts to document what can happen when disaster strikes. Health care professionals at New Orleans’ Memorial Medical Center faced the ultimate nightmare scenario. They were left to decide those they could help and those they could not help. The last remaining back-up electrical generator had failed. Emergency batteries providing the last hope for life support equipment had nothing left to give. There is no question that everyone involved in those terrible hours were heroes in their attempts to provide for the patients. Building maintenance personnel performed extremely dangerous procedures attempting to keep power going in the building. Doctors and nurses did everything possible to save their sickest patients. But it was not enough. The word “mitigation” is thrown around a lot. But it is an important word and concept. So many of the problems seen at Memorial Medical Center could have been mitigated either by building design or by more effective management practices. With the number of flooding disasters in recent years, those involved with building design and operation should understand the folly of placing critical infrastructure below grade. Back-up electrical generators will not run underwater. Oh, but it has never flooded at that location. All that can be said is that it has not flooded there yet. 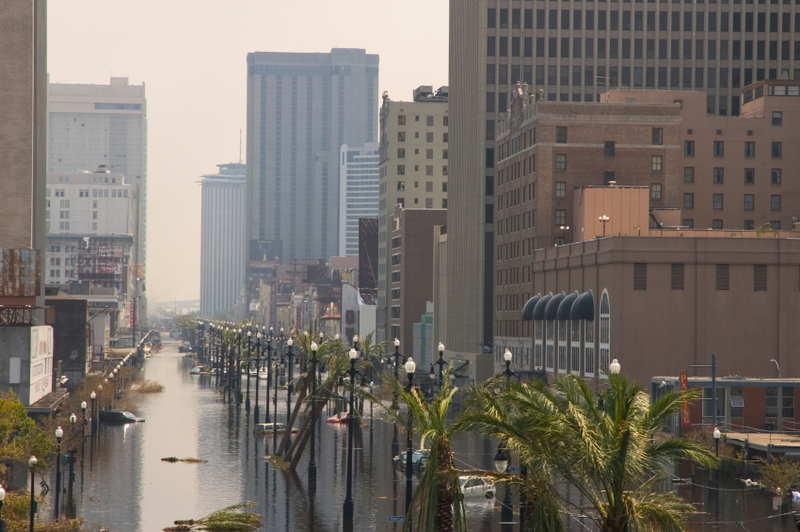 Mitigation moves that critical infrastructure above flood levels. It is important to remember that floods are not always related to a storm event. A different maintenance routine and generators designed for long term use could have delayed some of the problems. Running a generator for a short time once a month is not enough as they found out. Weekly start-ups and then, longer 24 hour runs under load once a month might have revealed problems with the system before it was needed. That is what mitigation is all about. Finding problems and solving them before a procedure or piece of equipment is needed. Five Days at Memorial is not a light read. In fact it can be painful. But it is full of lessons for all of us who plan for disasters. I am mentioning the book only from the standpoint of emergency preparedness. A lot of the book delves into the ethics of euthanasia and the medical personnel involved in a controversial way. 1,000,000 Gallons of Water Flood Building! The headline is stark. But this was not from a rising river. This was from a broken fire sprinkler system within the building. One of the problems with this event is that the break was not discovered until an employee came in early to do some work. By that time the water was eight feet deep in the basement. As is very common in building design, the electrical and elevator systems were located in the basement and were inundated. Water in a building can be devastating. Water in a basement with critical infrastructure can result in long lasting interruption to business activities in that building. It is also very expensive. Water removal, building dry out, mold removal, damage to equipment, replacement of supplies and loss of business cost money. These costs may or may not be covered with insurance or FEMA assistance. In the case of FEMA, only a portion of losses can be recovered. Prevention is often impossible. Things happen. Pipes break, sprinkler heads pop off or a valve may malfunction. Maintenance can help some of that, but “IT” happens somewhere everyday. Early warning is key. The first question I have in a situation like this is why there was no flow alarm on the sprinkler system? A sensor within the fire sprinkler system should have sounded audible and visual alarms as well as send a signal to a monitoring station. 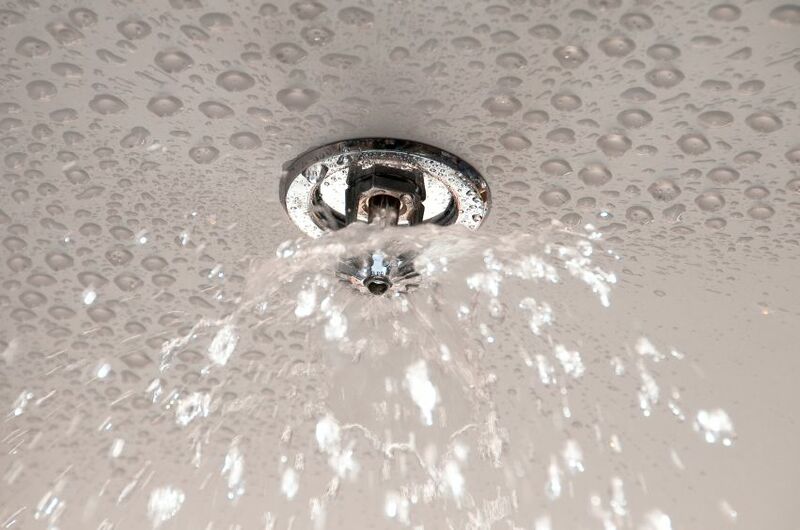 Water flowing in a sprinkler system should trigger the fire alarm automatically. Either those things didn’t happen or there was no one to see and hear the alarms. Any facility with important infrastructure located below ground should also have water alarms. These simple devices tied into the building alarm system detect water on the floor sounding an alarm to mitigate potential damage. This can provide warning when water from outside the building floods a basement whether from flooding rains or from a water main break next door. The ultimate mitigation to this sort of damage is careful consideration of locating critical electrical controls, emergency generators and other important infrastructure in basements.